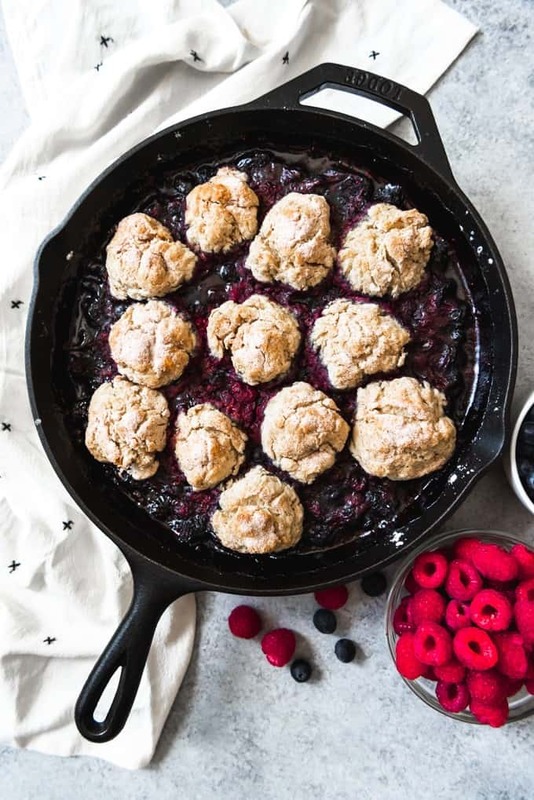 Berry cobbler is an unpretentious, homey dessert and is made even more rustic when presented in a cast iron skillet! 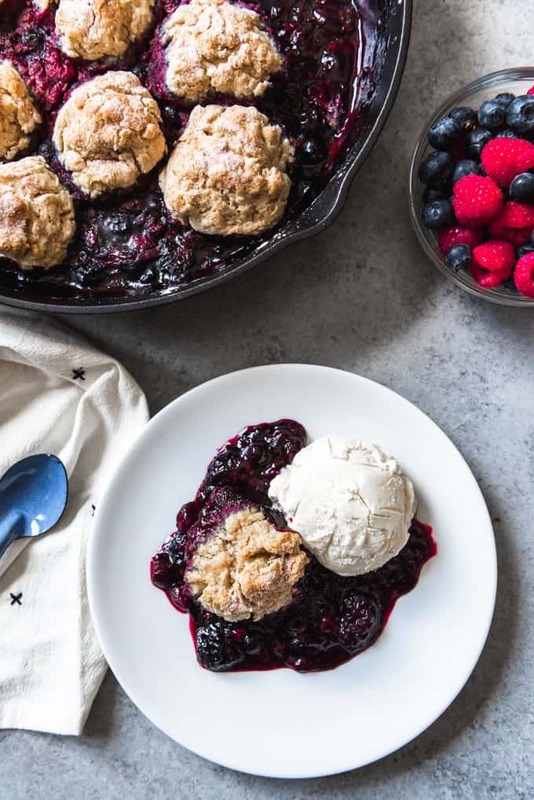 Alaskan Mixed Berry Cobbler with Buttermilk Biscuits is an homage to the plentiful wild berries that abound in Alaska each summer! I adore fruit desserts like cobblers, crumbles, and crisps. So much so that this blackberry nectarine crumble was the first recipe I ever shared on House of Nash Eats! 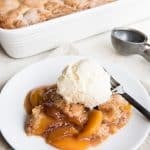 I also shared my favorite peach cobbler recipe last year (and am dying to make it now that ripe peaches are starting to show up at our farmer’s market again!). 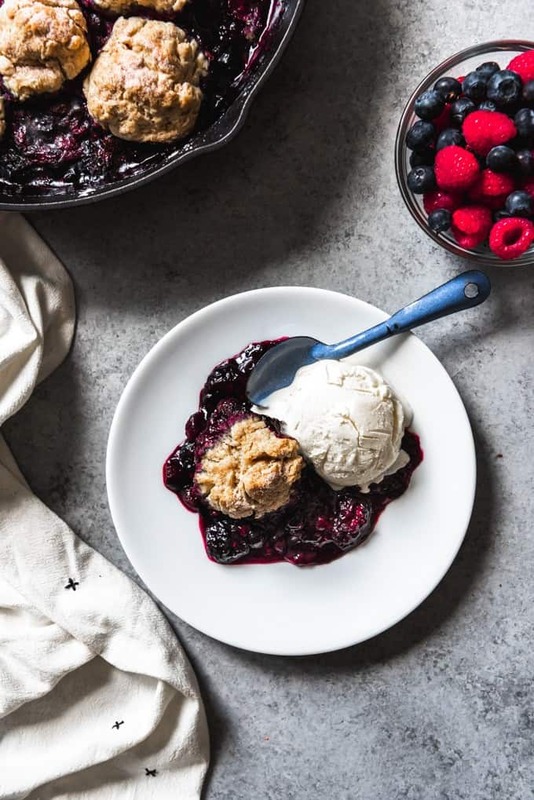 It’s very different from this mixed berry cobbler, but both are deserving of being made for their different crust choices as much as the fruit fillings! The term “cobbler” is interpreted very differently in different parts of the country. 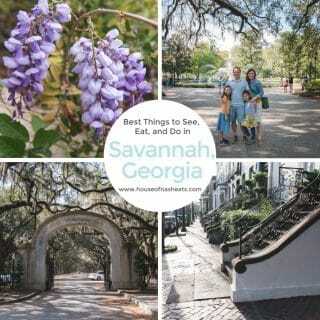 Some are more cake-like, some are biscuits, and some are kind of in between. I honestly can’t say which approach is more prevalent in Alaska, despite my attempts to find out. 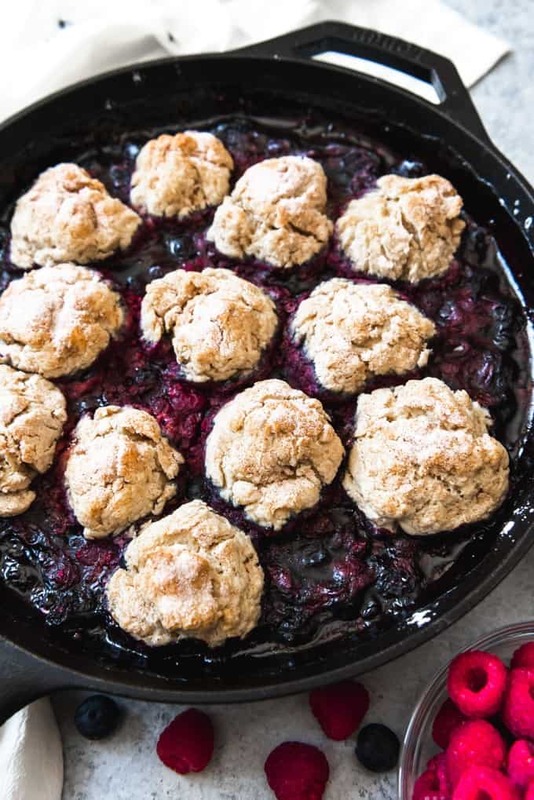 So today I’m sharing a mixed berry cobbler recipe that uses buttermilk biscuits rather than a batter to create the wonderful, buttery “crust” that tops the juicy, bubbling berry filling beneath. 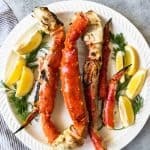 This is my second recipe for Alaska Week in the American Eats series I have been doing on here, where I’m working my way through foods that might be considered representative of each of the 50 states. Although the growing season in Alaska is short, one of the things that grows in abundance are wild berries. All sorts of berries grow in Alaska during the summer, from blueberries and raspberries, to lingonberries and salmonberries (yes, a real thing!). 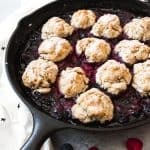 And while I could have used them in any number of ways to create a recipe to represent Alaska, a mixed berry cobbler sounded like just the thing to serve with the grilled soy brown sugar salmon recipe that I shared earlier this week. And in case anyone is wondering why I didn’t choose Baked Alaska as the dessert most representative of Alaska, it’s because Baked Alaska was actually created in New York by someone who had never been to Alaska, and while delicious, it didn’t seem as truly representative of a flavor you would find in Alaska as this mixed berry cobbler. You can make this berry cobbler recipe using frozen fruit or fresh berries, whichever you happen to have access to. Unlike pies, where you might have to make adjustments for frozen berries so that the bottom crust isn’t soggy (like thawing, draining or thickening juices, etc. ), with a cobbler there isn’t that same concern. 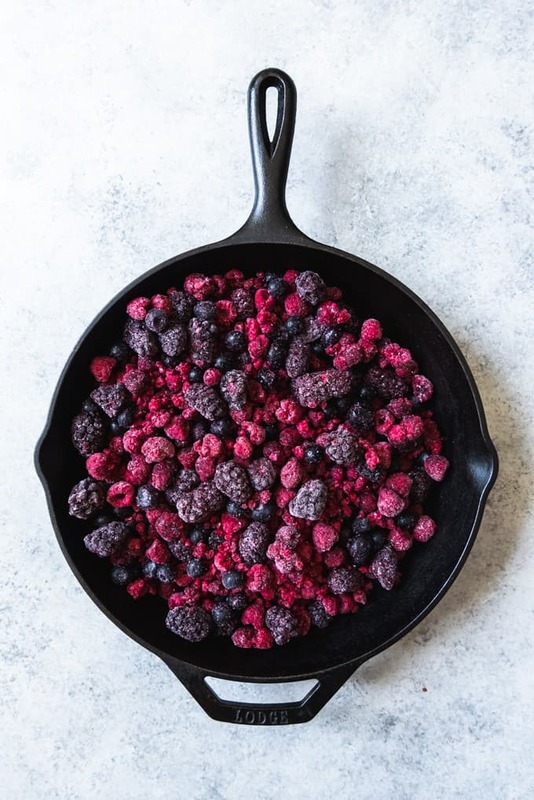 I often just buy a big bag of frozen mixed berries from Costco (the one with blackberries, raspberries, and blueberries) and dump the frozen fruit right into my large cast-iron skillet. You can use any combination of berries you like. This same recipe could be used to make a blueberry cobbler by just using all blueberries. Strawberries, olallieberries, and huckleberries would also all be delicious in this berry cobbler recipe. But if using strawberries and they happen to be large, you will want to quarter them to be about the same size as the other berries in the cobbler. 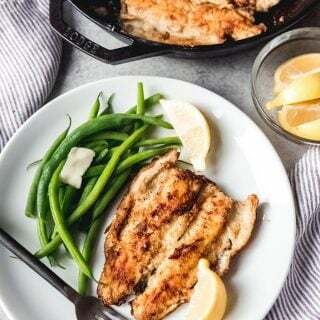 If you don’t have a cast iron skillet, just use a casserole dish or deep pie dish instead. Just be sure to put a baking sheet underneath to catch any juices that might bubble over. My cast-iron skillet is deep so I don’t have to worry about that, but this amount of filling would completely fill a pie dish. Partially bake the fruit filling first before adding the biscuit topping. 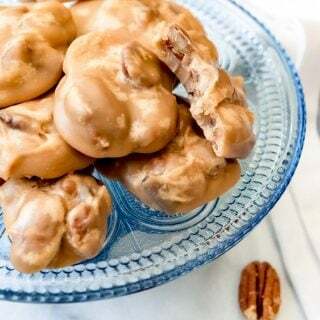 The filling takes longer to cook and thicken than the buttermilk biscuits, so you can get the filling going and making the biscuits while the filling is in the oven. Don’t overmix your biscuit topping. Add all the liquid at once and stir just until the dough starts coming together, then turn out onto a clean surface and gently knead it once or twice to help it come together. 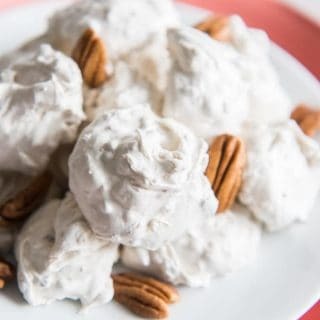 Then just pinch off small chunks of dough and lightly shape them into balls to drop on top of the partially cooked fruit filling. Sprinkle a little cinnamon sugar mixture over the top of the biscuits for added sweetness and texture. Let the cobbler cool before serving. But if you want to serve the cobbler warm, you can always reheat in a 300 degree F. oven for 5 minutes. As a personal rule, I ALWAYS serve cobbler with ice cream! 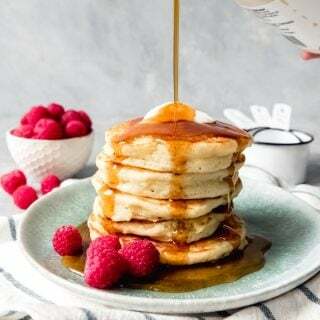 Preheat oven to 375 degrees F. Combine berries, sugar, cornstarch, salt and let sit to macerate for 20 minutes while oven preheats, tossing a few times with a rubber spatula. 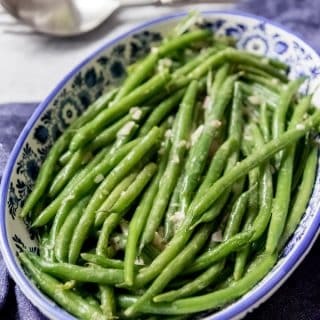 Dump into a large cast-iron skillet, pie dish, or baking dish. Bake the mixed berry filling for 25 minutes, until bubbling around the edges. While the filling bakes, prepare the biscuit topping. 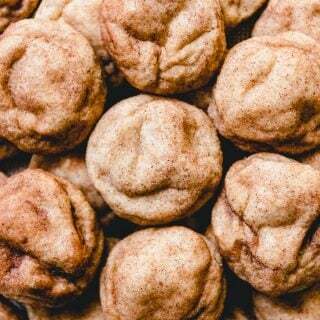 In a large bowl, combine the flour, sugar, baking powder, baking soda, salt, and cinnamon and whisk together. 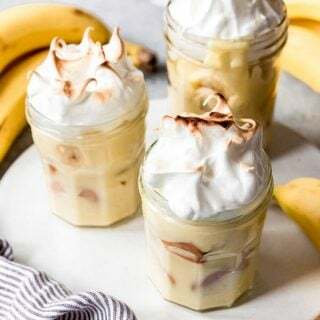 In a separate bowl, combine the butter, buttermilk, and vanilla extract and whisk together. Combine the cinnamon and sugar in a small bowl. Just before the filling is done baking on its own, gently pour the buttermilk mixture over the flour mixture and mix them together with a fork just until moistened. Then turn onto a clean surface and knead once or twice, and divide into 12 equally sized lumps. Gently shape or pat into balls with your hands. Remove the pan from the oven with the berry filling and set the balls of biscuit dough on top of the berries, then brush the dough with a little milk and sprinkle with the cinnamon sugar mixture. 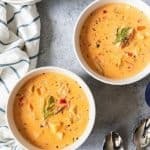 Return the pan to the oven and increase the temperature to 425 degrees F. Bake for 15-18 minutes, then remove from oven and let cool for at least 1 hour before serving. Cobbler can be cooled completely and reheated at 300 degrees for a few minutes until warm. I have been to Alaska before and I’d say this is the prefect dessert to represent the state. Thank you Val! I’m so glad to hear that!